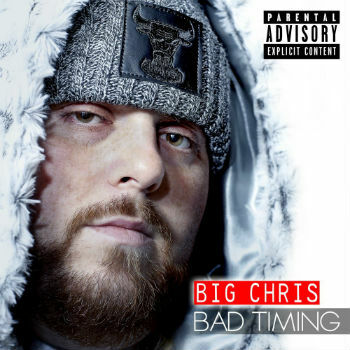 Big Chris is back with an album titled, “Bad Timing.” In addition to some smooth RnB vocals, these new tracks contain more of the quality synth work that has become a staple of his songs. The synth backing often creates the impression at first that you might be listening to a high energy, radical 80′s dance jam. Then the light hip hop / RnB singing kicks in and you get a sense of the eclectic mix. The combination of groovy, seemingly retro styled dance tracks with Big Chris’s smooth and assertive lyrical delivery give these songs an original style. Big Chris has carved out his own niche here and continues to develop himself as a true artist.